I bought this conditioner when I was ditched by my previous one and had nothing left except buying a new one. I didn’t find any good brand in the store near the street. When I reached the l’oreal counter there were very less products to chose from. 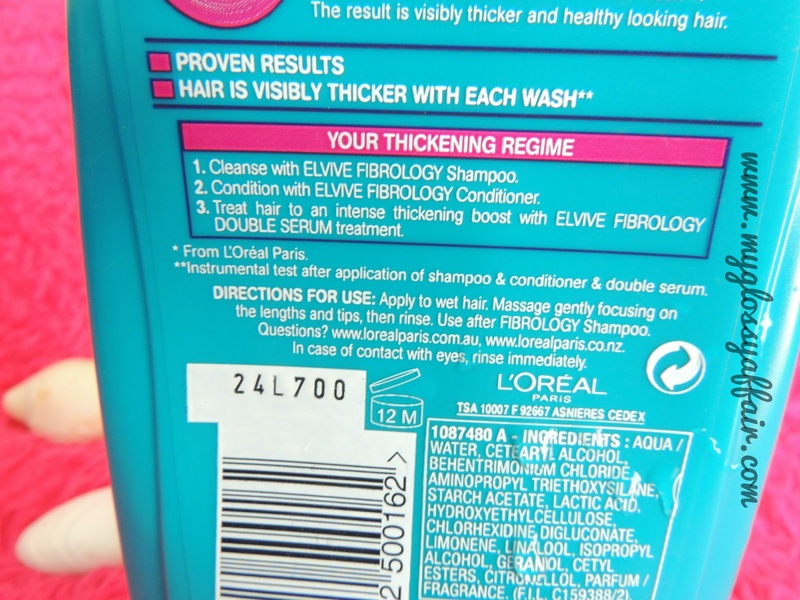 Then “L’oreal Elvive Fibralogy Thickening Conditioner” caught my eye. 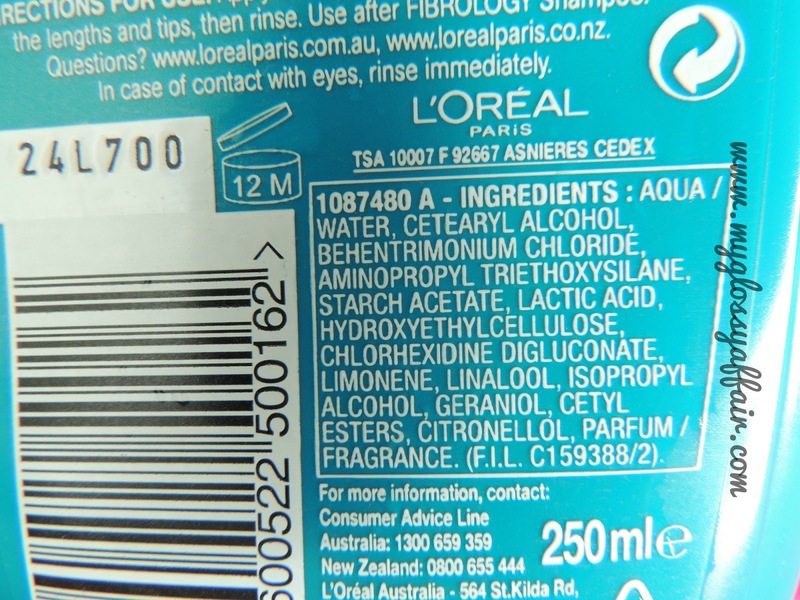 Being a loreal product I could trust upon this one. 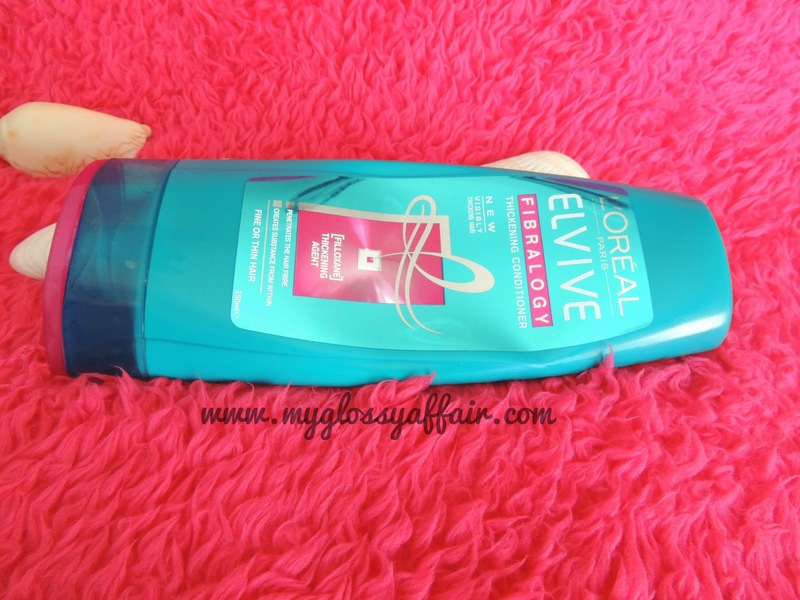 In the past too I have used many L’oreal hair products, specially loreal professional range and really liked it. A breakthrough in the science of hair, L’Oréal Laboratories have created our 1st haircare range proven to give thicker hair wash after wash*. 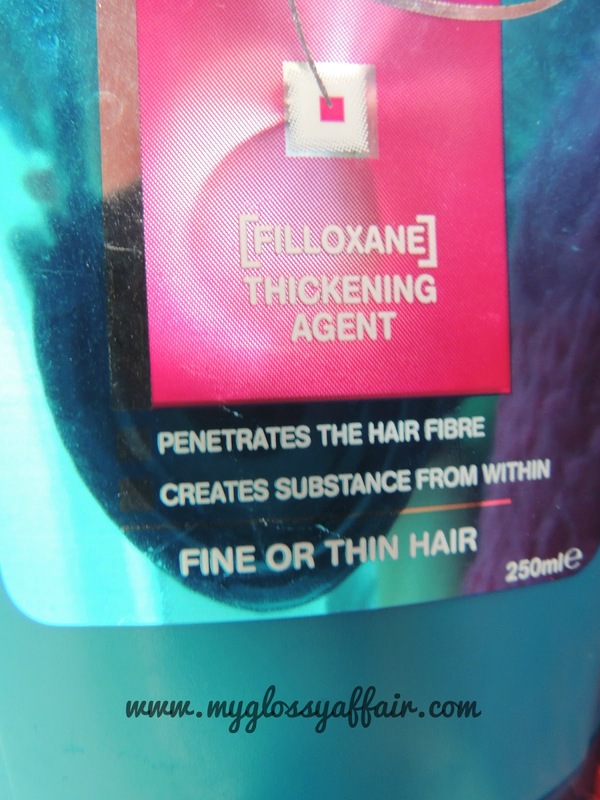 Specially developed with Filloxane, the Fibralogy range visibly thickens the hair fibre from the inside. 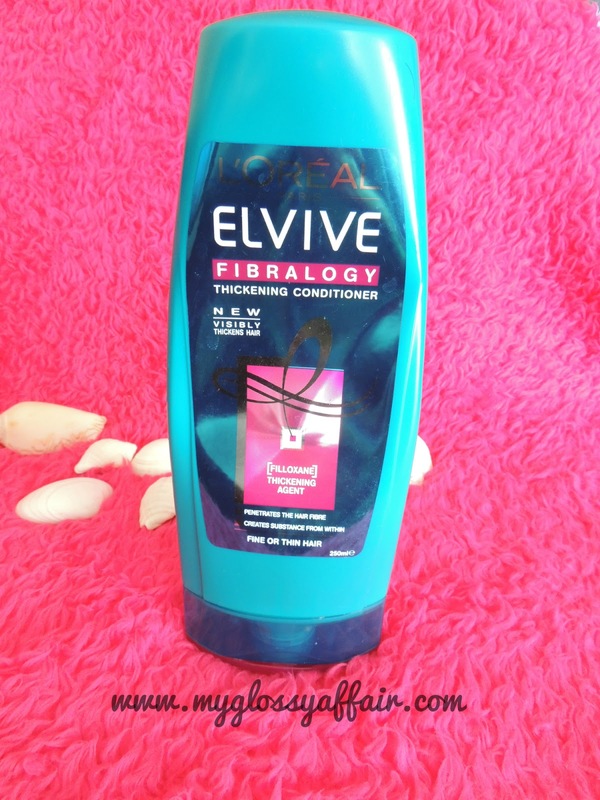 The diameter of the hairfibre progressively increases with each wash.
Elvive Fibralogy Thickening Conditioner instantly detangles your hair without weighing it down and also increases the diameter of your hair fibre – making it visibly thicker, leaving your hair thicker and healthy looking. Work through the length of your hair, right to the tips, avoiding scalp and then rinse. Follow with Fibrology Masque for best results. 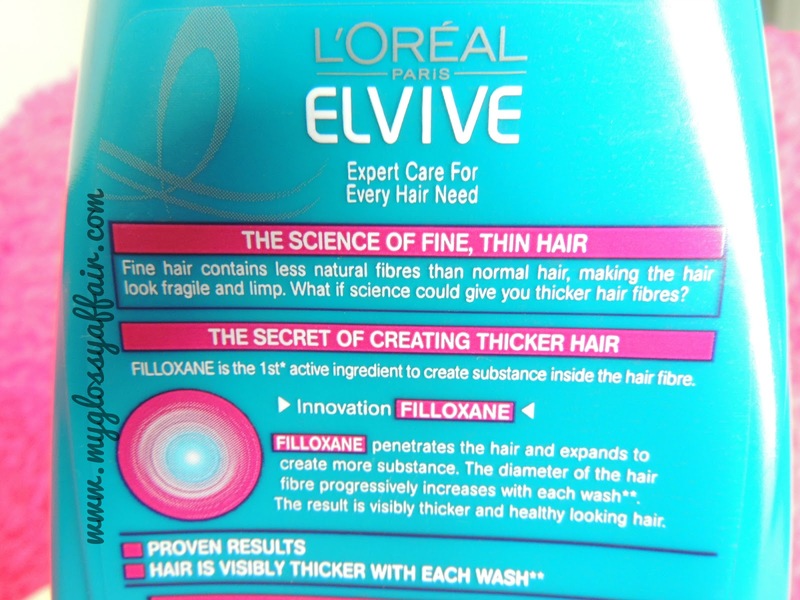 As the name says L’oreal Elvive Fibralogy Thickening Conditioner has a thick consistency, its not runny. The colour is white and the smell is very mild. I have thick hair but while buying this conditioner I somehow forgot this. When it is specifically made to thicken hair fibre from within which is not at all my concern then how cold it suit me. But then I thought it will atleast make my hair smooth and shiney. Forget Shine, after wash it seemed like this conditioner filled my hair with unwanted air and thickness which made them look poufy but then again, it is not specifically for already thick hair. After first few washes it made my hair feel soft but just soft, nothing more than that. But I can not blame the product totally as my concerns are totally different than what purpose it solves. So..no issues!! Works better with same shampoo. Fills unwanted air and thickness into my hair and makes them poufy but then, it is not specifically for already thick hair. Did not notice any long term change in shine and softness. I have curly hair so it is not good enough for me *sigh* But I love the post 🙂 Great review!